Is Dell’s Streak a Jumbo Smartphone or a Tiny Tablet? Why are iPads selling as fast as Apple’s Chinese subcontractors can crank them out? In part, it’s because the iPad has a suddenly-hot product category pretty much to itself. Before scuttlebutt that Apple was working on a tablet started to heat up, no major PC manufacturer seemed to think that consumers wanted a general-purpose, touchscreen-only computing device. Now almost all the big names–and lots of little ones–are furiously playing catch up. End result: Starting later this year, the iPad will be confronted by an army of other touchscreen machines, from potentially worthy opponents to shameless wannabees. Call ‘em iPadversaries, and read on for my first stab at accounting for (most of) them. I cheerfully admit that I’ve defined the term “iPadversary” loosely. 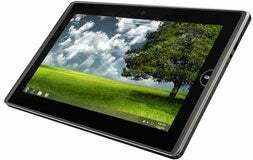 Some of these gizmos are very much meant to compete head-to-head with Apple’s tablet, including a bevy of Windows 7 “slate PCs.” Others won’t do so at all–such as the OLPC XO 3.0 and “$35 Indian tablet”–but I found them intriguing for one reason or another. And a few (such as RIM’s BlackPad) are unconfirmed rumors which may or may not pan out. There are also a few tablets that are already for sale here, all of which have one thing in common: Most of the reviews of them range from so-so to profoundly negative. I’ve attempted to gather some basic facts on each device, and to indicate when the information I mention is speculation or rumor rather than confirmed fact. I’d be amazed, however, if all of these products reach the market in exactly the form detailed here. 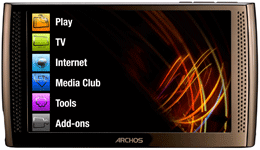 What else: Paris-based Archos has been making tablets since we were supposed to call them portable media centers, and the three Archos products in this list all shipped well before the iPad did. This one, with its 5? display and Android OS, feels like a Gallic cousin of the Dell Streak. More info: Ubergizmo gave it a semi-positive review. 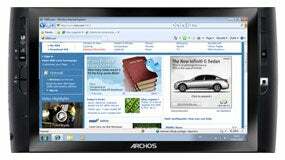 What else: This Archos Android tablet has a bigger screen than the 5 but costs a hundred bucks less. It runs an even older version of Android. More info: Engadget really didn’t care for it. What else: As usual, Archos already has a device out in a product category that larger companies are still talking about–Windows 7 slates. 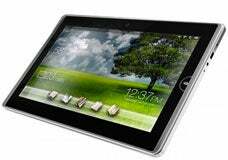 It has a resistive screen (rather than the iPad’s capacitive one) with no multi-touch gestures. More info: UMPC Portal’s review says it’s not anywhere near as good as it looks. What else: EeePads are running late–at one point Asus was supposed to have one ready for July 2010 availability. 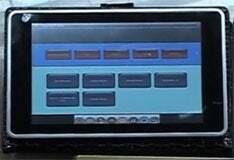 The EP101TC may still be a work in progress: It was originally going to run Windows Embedded Compact, but is now an Android machine. More info: Engadget has a brief write-up. What else: Did I mention it costs $150? Also, it seems to have an unauthorized version of the Android Marketplace. 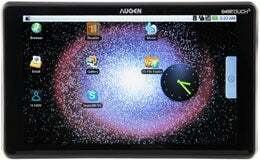 More info: The Android Blog tried one and wasn’t exactly knocked out.